The story of television reporter Edward R. Murrow taking on Senator Joseph McCarthy in the 1950s, Good Night, And Good Luck is a reminder that unchecked power will run amok. The film stays well within itself, a relatively small slice of journalistic history used as commentary on the dangers of a nation falling asleep. With the Soviet Union firmly established as an existential enemy, Wisconsin Senator McCarthy is on a rampage to uncover communist sympathizers in the United States. Throwing wild accusations on the congressional floor and holding hearings in which defendants are accused with the flimsiest of evidence, McCarthy is either a hero or and out-of-control egomaniac tilting at windmills. 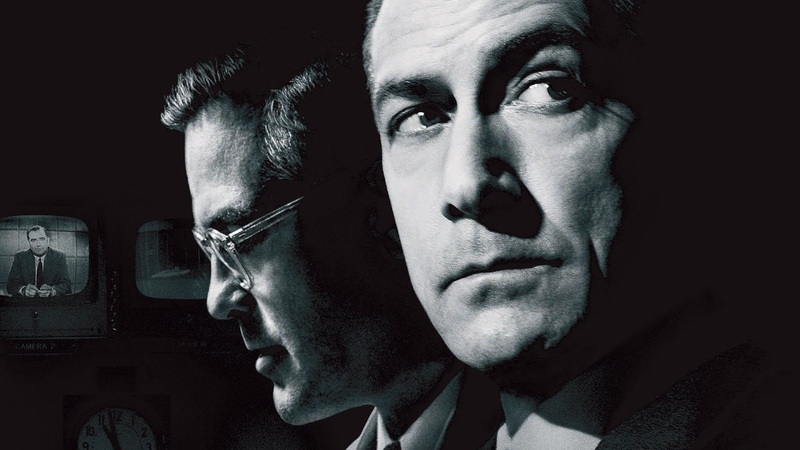 CBS television Reporter Edward R. Murrow (David Strathairn) and his co-producer Fred Friendly (George Clooney) decide to risk the wrath of the network executives and advertisers by challenging McCarthy's methods and agenda. With the tentative support of chief executive William Palley (Frank Langella), Morrow airs several episodes of his news show that are overtly critical of McCarthy. Undeterred, the Senator fires back with personal accusations of his own against Morrow and his team. With the debates over the war in Iraq and the Patriot Act polarizing the "with us or against us" rhetoric in the Unites States of the 2000s, Clooney looks two generations back and finds parallels within the paranoia of the Cold War. In the name of fighting communism McCarthy created a witch-hunt that ultimately served no purpose except to turn Americans against each other. Left unchallenged, McCarthy was portraying himself as the nation's saviour, ferreting out a dangerous network of spies and Soviet agents. The reality was that McCarthy's accusations were often unsubstantiated, his investigations uncovered no meaningful evidence, and the links to communist or socialist causes were predominantly dredged up from decades past, when the United States and the Soviet Union were allies in their fight against the Nazis. Still, it required men like Morrow to make a courageous stand, and Good Night, And Good Luck (Morrow's standard sign-off line) leaves no doubt that this is a story of the good guys of the press against the crazed, wide-eyed politicians. With the heroic and evil sides clearly demarcated, the script by Clooney and Grant Heslov struggles to create any sort of drama. There is a bit of tension created within CBS by Morrow's stand on the high ground, but the network's chief executive William Paley has a bark stronger than his bite and is quickly supportive of Morrow's actions. With the public applauding Morrow's expose of McCarthy's buffoonery, it is left to Don Hollonbeck (Ray Wise), another of CBS's reporters, to suffer the agony of character assassination by a McCarthy-friendly print journalist. Hollonbeck's tangential struggle is dealt with in a few broad strokes, an almost token admission that there are casualties in every fight worth fighting. A distracting sub-plot involving Robert Downey Jr. and Patricia Clarkson as CBS staffers who keep their non-policy conforming marriage hidden from their colleagues is less than interesting and smacks of padding. 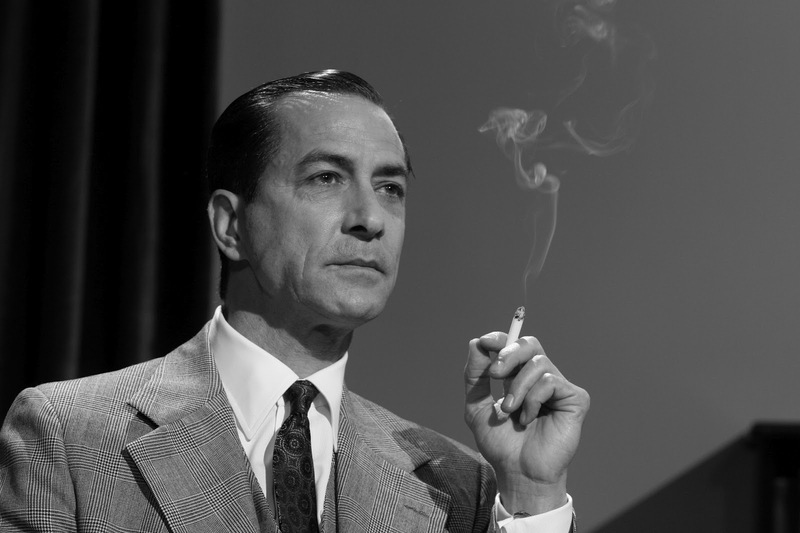 It is left to the stylistic elements of Good Night, And Good Luck to create a memorable experience around Strathairn's stoic performance, and Clooney as director does not disappoint. 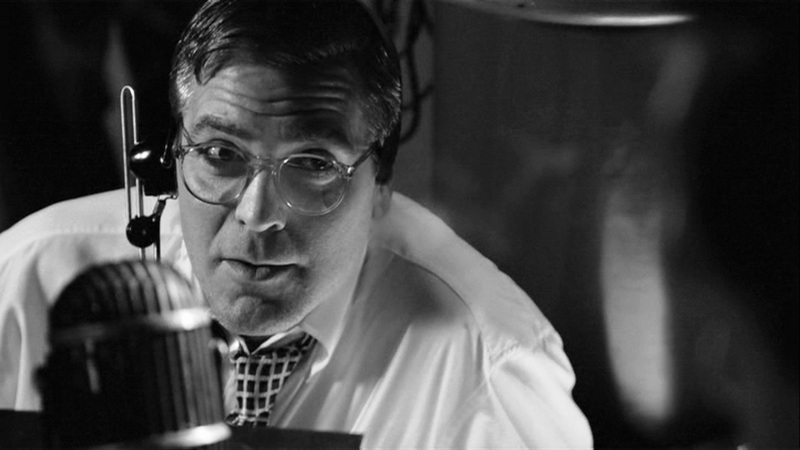 The film is a study in dark black and light black, rather than black and white, the studio, control room and offices of CBS, as well as the adjacent watering holes, contributing to a study in shades of gloom. And the ever present cigarette smoke, in the studio, on-air and in every scene, is seductively camera friendly but a reminder that while the reporters were taking on the politicians, they were all being collectively poisoned. And Clooney seamlessly integrates historical footage of McCarthy into the film to complete the transformation of Good Night, And Good Luck into a bygone era. While not necessarily lifting any new weights, Good Night, And Good Luck is a timely reminder that protecting the good nights requires good vigilance.